Wiise, the cloud business management software created by KPMG, built on Microsoft and supported by Commonwealth Bank of Australia (CBA), is now available Down Under and distributed by cloud licensing aggregator Rhipe. 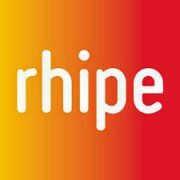 Rhipe delivers Wiise through its ecosystem of 2,500 technology partners across the country to facilitate adoption of the new cloud accounting software created for small to medium businesses. Wiise, launched in August this year, is a cloud-based platform designed to “solve SME pain points” by combining business management with online banking and payments, integrated into software such as Microsoft Office 365. Wiise offers accounting, finance management and reporting, basic inventory management, receivables and payables, auto-reconciliation, HR and payroll. Rhipe offers a range of cloud licensing solutions from software vendors including VMWare, Citrix, Veaam, Acronis, Trend Micro and Symantec. Rhipe’s portal for recurring subscription management (Prism) enables resellers of Wiise to “streamline” tenant provisioning, billing, reporting and 24/7 support for their end-user customers, on a pay as you go basis.